Do you want to get pregnant one day? If the answer is "yes" or even "maybe," it's important to think about your fertility health sooner rather than later. Why, you ask? Fertility changes as we age, and it's different for every woman, which is why it's a great idea to get a fertility assessment in your 20s or early 30s. Nutrition is also highly important; pregnancy requires a ton of your body's energy and depletes its resources, including vitamins and minerals. Because of this, it's of the utmost importance to make sure you're getting the right micronutrients in your body well before you to try to conceive. So how do we do this? And which nutrients support fertility the most? As a nutritionist at Trellis, a fertility study in NYC, I get these questions all the time from my clients. Eating with nutritional variety is KEY. So really, maintaining a balanced diet that is sufficient in all nutrients is important to cultivating an overall healthy reproductive state. However, when it comes to boosting egg quality and health, there are a few key vitamins and minerals that can support your healthy diet. Additionally, I always recommend my patients get basic bloodwork done to make sure there are no nutrient deficiencies. Omega-3s are anti-inflammatory fats that support fertility by helping to regulate hormone production and increase blood flow to the uterus. The problem is that in America, we tend to eat too many omega-6 fats and not enough omega-3s, which contributes to chronic inflammation in the body (something we want to avoid when we are trying to increase our fertility health). I recommend eating two servings of low-mercury wild salmon per week. Fatty fish like salmon, trout, and halibut are extremely rich in the EPA/DHA form of omega-3s. Unfortunately, vegan and vegetarian food sources contain a different form of omega-3s (ALA), which is inefficiently converted to EPA/DHA in the body for a variety of reasons. If you are a vegan or vegetarian or just don't like fish, you can incorporate 1 tablespoon of plant-based omega-3s (walnuts, chia seeds, hemp seeds, flaxseeds) daily or take a high-quality omega-3 supplement to make sure you're getting your daily dose of these anti-inflammatory fats. Our lives have become increasingly stressful, and, therefore, many of my clients come to me with a magnesium deficiency. Not only does stress deplete magnesium in the body, but when your body is deficient in magnesium it can cause elevated cortisol (stress hormone) levels. You can see how this quickly becomes a vicious cycle between stress and magnesium that can throw off your entire balance of hormones and negatively affect your reproductive health. I have my clients incorporate foods high in magnesium like avocado, nuts and seeds, and leafy greens like kale to help amp up their daily intake of magnesium. B vitamins are essential for hormonal balance and establishing a healthy blood supply. And the delivery of nutrient-rich blood is essential to supporting the health of the entire body, including our reproductive organs. When it comes to B vitamins, however, the form really matters. I typically recommend an MVI or B-complex that contains L-Methylfolate (Folate), Pyridoxal-5-Phosphate (B6), and Methylcobalamin (B12) for optimal absorption. Vitamin D is the ultimate multitasker—it supports immunity, gut health, and thyroid health and reduces inflammation, all of which are essential to supporting a healthy reproductive system. Research shows that women with adequate vitamin D levels have better fertility health. Because many women are vitamin D deficient, I recommend getting your levels checked regularly and taking a supplement if you need it. Again here, the form of the nutrient you take matters; always pick vitamin D3 over D2. Research shows it is much more effective at increasing your vitamin D levels! This is part of the B-vitamin complex, and studies show that myo-inositol supports healthy blood sugar metabolism (which is essential to maintaining hormonal balance) and improves overall egg growth and quality. You can find inositol in foods like sprouted buckwheat and legumes. The oocyte (immature egg cell) requires a TON of energy to grow and mature prior to ovulation. CoQ10 supplies nutrients for optimal energy production and can therefore help support the energy needs and improve egg health. CoQ10 is also a powerful antioxidant that promotes egg quality by reducing damage due to free radicals. 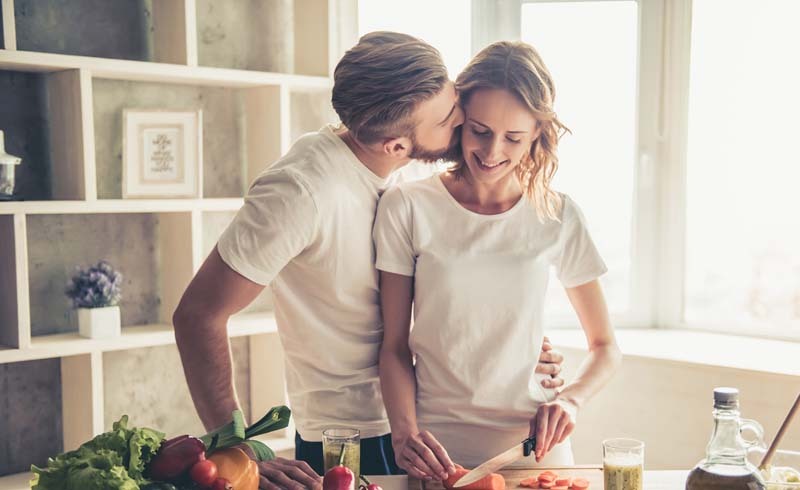 Even if wanting to have a baby feels far off from now, it's good to keep these nutrients in mind and make sure you're supporting fertility health as much as possible.